Ringing in The Ears and Dizziness - What To Do? 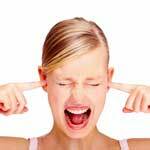 Experiencing ringing in the ears along with other symptoms such as dizziness? You might want to consider a trip to the doctor’s office. While many people encounter ringing in the ears at some point in their lives, it can often be dismissed as temporary high frequency hearing loss from attending a far-too-loud music concert or improper use of headphones. However, sometimes these occurrences can be symptoms of hearing loss from underlying medical conditions or ailments, and that’s why seeing your health care provider is extremely important. Buzzing or ringing in the ears that some people even describe as a roar is commonly associated with sudden and potent shock to the ears. This can happen from loud noises or booms that exceed your ears comfortable audible input levels. For some people however, this symptom is persistent and paired with other symptoms that could be indicative of a more serious underlying condition. Labrynthitis, for instance, is characterized by these symptoms and can cause hearing loss or vertigo. This middle ear swelling or infection is serious and requires more than tinnitus treatment for relief. Meniere’s Disease can cause ringing in one ear or both along with extreme dizziness. Medication side effects, interactions and aspirin poisoning can also share similar symptoms. If you are concerned that your medication combination is causing side effects, DO NOT stop taking any medications that you are on. Call your doctor’s office immediately to discuss your current prescriptions and dosing with your health care provider. Ringing in the ears is often a temporary condition. Old wives tales indicate that it means that someone is talking about you if you experience ringing in the ears. This is probably due to how commonplace this symptom is. However, when combined with other things, or when consistent and frequently recurrent, it’s best to seek out the care of a physician to ensure that you do not have any health conditions that require treatment, or that you aren’t having dangerous drug interactions. Anytime you have concern about the signs that your body is giving you, schedule an appointment with your health care provider. By ignoring signs and symptoms and writing them off as commonplace occurrences, you could be putting yourself at risk for developing more serious symptoms down the road.